Winner of the Cadet Girls’ Singles title earlier in the year in Belgium, Amy Wang moved up a grade in Buenos Aires on Monday 19th June; she won the Girls’ Singles title at the 2017 Argentina Junior Open. Success and a milestone moment in her career; it is her first ever such title on the ITTF World Junior Circuit. 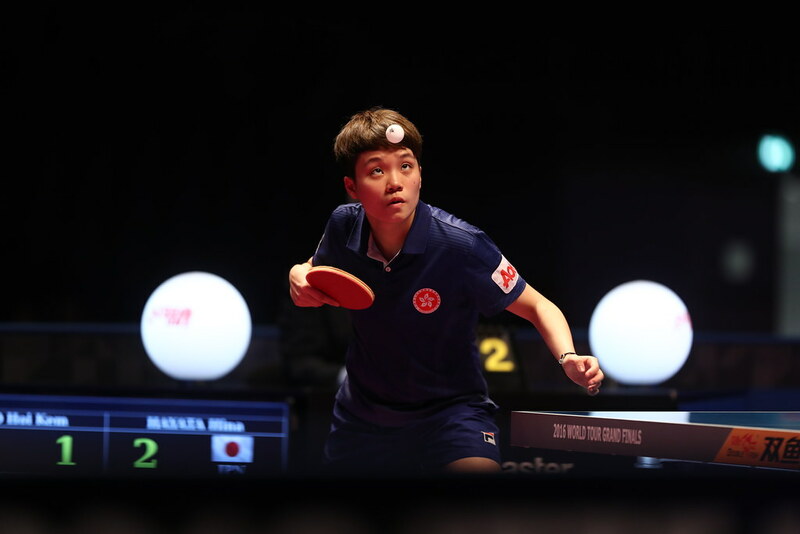 Furthermore, it was somewhat of a surprise success; the 15 year old, still eligible for the cadet age group category and the no.2 seed, accounted for Brazil’s Bruna Takahashi, the top seed and winner of three ITTF World Junior Girls’ Singles titles, at the final hurdle. In a closely fought contest, Amy Wang emerged successful in six games (11-9, 11-9, 5-11, 12-10, 7-11, 11-4) to end Brazilian aspirations. The top step of the podium for Amy Wang, on a day, when matters proceeded very much according to status; notably only one of the top eight names did not advance to the quarter-final stage. The player to cause the upset was Peru’s Kelly Santur, the no.15 seed, in the second round she accounted for Paraguay’s Leyla Gomez, the no.8 seed, in a closely contested seven games duel (11-3, 9-11, 11-9, 6-11, 3-11, 11-5, 11-7). A last eight place booked but that was to be the end of the road for the Peruvian; she was beaten by Rachel Yang of the United States, the no.3 seed, in four straight games (11-3, 11-3, 11-8, 11-6). One round later at the semi-final stage, Rachel Yang experienced defeat at the hands of Bruna Takahashi in hard fought seven games exchange (12-10, 6-11, 11-7, 8-11, 10-12, 11-6, 11-5). Earlier at the quarter-final stage, Bruna Takahashi had ousted, Grace Yang, the no.5 seed and like Rachel Yang from the United States (11-6, 11-9, 11-9, 11-6). Meanwhile, in the opposite half of the draw, Amy Wang had ended Argentine hopes by beating Camilia Kaizoji, the no.11 seed, prior to overcoming Ecuador’s Nathaly Paredes, the no.6 seed (11-3, 11-3, 11-6, 11-5) and colleague Rachel Sung, the no.4 seed (11-7, 13-11, 11-7, 11-8) to reserve her place in the final.